The beginning of the year in family music offers a trickle of reviewable discs (lots more starting next month), but there are a couple of nifty educational children’s music albums worth an earful. The first is by the “First Lady of Children’s Music,” Ella Jenkins, whose latest release if 123s and ABCs. The other pick for this month is by actress-singer-songwriter Helen Slater (you might recall her from City Slickers and Supergirl). Slater, who once played Supergirl on the big screen, sings and tells stories about some of the heroes from mythology on Myths of Ancient Greece. Heading the year-end recommendations is Lisa Sniderman’s What Are Dreams Made Of? A wildly creative brew of story and song by the San Francisco-based 2012 finalist for the John Lennon Songwriting Award, among other honors, Sniderman provides a sequel to Is Love a Fairy Tale?, which follows the adventures of Aoede the Muse and her adventures in Wonderhaven. What Are Dream Made Of? is an imagination-inspiring, sometimes trippy journey through the “land of darkness and light” that sounds like something Pink Floyd, Regina Spektor, and J.R.R. Tolkien might dream up if they were aiming for elementary-school age kids. If you’re looking for more story-and-music blends that appeal to the preschool on up crowd, sample the wares from The Secret Mountain, which releases a range of projects that travel across diverse cultures. Available in book-CD or e-book packages are W is for Wapiti: An Alphabet Songbook and Songs from a Journey with a Parrot – Lullabies and Nursery Rhymes from Brazil and Portugal. A Gift for Sophie, one of The Secret Mountain’s newest productions from Canadian singer-songwriter Gilles Vigneault and illustrator Stéphane Jorisch, offers insight into the power of gift giving in the tale about two friends. Musical guests include Martha Wainwright, Thomas Hellman, Paul Campagne and Jessica Vigneault. This month’s FMR: Quick Picks include some holiday-oriented goodies and a couple of other tasty morsels. One of my favorite music people, Debbie Cavalier, releases her third Debbie and Friends album, Variety Show. The album features more of her brightly colored story-based songs (“Cinderella” and “Pinocchio”), along with original tunes (such as the holiday-themed “Santa and Baby (Santa’s Little Helper)”. With the rare confluence of Thanksgiving and Chanukah (known popularly as Thanksgivukkah) comes Mami Doni and The Acoustic Jewish Holiday Collection CD/DVD. Because this upbeat and diverse collection of everything from dance music to bluegrass covers three holidays (including Chanukah, Passover, and Shabbat), it’s the winter gift for all seasons. The luminous Elizabeth Mitchell offers her elegant The Sounding Joy: Christmas Songs in and out of the Ruth Crawford Seeger Songbook in time for the festive season. 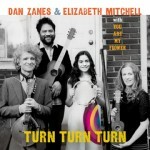 On the 24 songs, Mitchell — whose gentle voice and warm instrumentation are enough on their own — benefits from guest artists like Peggy Seeger, Natalie Merchant, Dan Zanes, and Joan Osborn. Finally, we have the surprising treat of Pacha’s Pajamas: A Story Written By Nature, which is about magical PJs that transport a young girl into a jungle festival hosted by animals. The featured artist, tween rap star Bentley Green, is joined by an all-star cast, including Mos Def, Cheech Marin, and Les Nubians. Just because October is one of those months where time has been short for me doesn’t mean that I don’t have a few moments to tell you about some of the new music well worth your listening hours. Lucky Diaz and the Family Jam Band continue their dazzling run of releases with the retro variety-show styled Lishy Lou and Lucky Too. With their second album of the year, Recess Monkey’s 10th studio project is the laid-back Desert Island Disc. New Jersey-based musician Erik Simonsen’s new disc is E is for Erik, a family-music debut that comes with a coloring book inspired by songs such as “Dr. Seuss We Love You” and “If You Miss Me at the Back of the Bus.” Two other noteworthy CDs are Mister G’s bilingual ABC Fiesta and Josh & the Jamtones eclectic Bear Hunt! Our October reviews begin with one nutty and wonderful project by Heidi Swedberg and the Sukey Jump Band. Led by the singing and ukelele-playing Swedberg, who made a comic name for herself as George Costanza’s Seinfeld fiancee, My Cup of Tea brims with whimsy and theatricality. Among the sparklers of the thirteen tracks are “The Owl and the Pussycat,” “Istanbul” (a reworking of the classic They Might Be Giants piece), and “Boogie Man.” Swedberg and her band are having so much fun making great music, it’s hard not to get caught up in it — and claim this is one of the year’s best musical surprises. Smiley Face Sticker is the debut project of the witty wordsmith who calls himself Mr. Palindrome (real name: Natan Kuchar). Based in Australia and educated at the Berklee College of Music in Boston, Mr. Palindrome makes some nifty tunes out of a lot of nonsense through the title track and songs such as “Backwards Alphabet,” “Alove Alliteration,” and “Onomatopeia (On-O-Mat-A-Pee-Yah).” Listening and playing along with the verbal gymnastics should be great fun for parents and pre-school to early grade-school kids. Other discs notable for this rundown of children’s music reviews include new releases from prolific performers. One the groundbreakers of family music, Tom Chapin, delivers The Incredible Flexible You, a masterfully crafted project with songs aimed at helping children with the ins and outs of social interaction. And Chris Ballew, known to a legion of children and parents as Caspar Babypants, makes the Beatles catalogue his sandbox for Baby Beatles. Ballew is both faithful and playful as he reinvents this tunes for young ears. We drop our line of music reviews into the water with Trout Fishing in America, whose 16th album of wordplay and music whimsy comes out shortly. 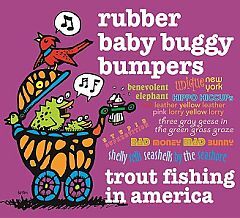 Keith Grimwood (the less-tall one who plays basses and warbles) and Ezra Idlet (the very tall one who performs on guitars and sings) have a bottomless well of enthusiasm for the genre of family music, as the dozen songs on Rubber Baby Buggy Bumpers proves. Tongue twister tunes like the title track, story songs such as “The Late, Great Nate McTate” (one of my favorites from anyone this year) and “My Sister Kissed Her Boyfriend,” and true-to-kids’-lives pieces including “Don’t Touch My Stuff” are all imbued with earthy folk-rock strains and sing-along charm. This is a sit down and listen treat to interact with and talk about with the kids. 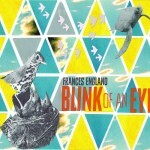 Frances England is one of those artists I could listen to with or without the kids. On her new release, Blink of an Eye, England’s honeyed vocals wash over songs filled with keen observations that capture the wonder of life at a more in-the-moment pace. Produced by Dean Jones, the new album skews a little older to match England’s own kids’ ages, but maintains the clear, poetic themes of family life she has touched on over her previous work. 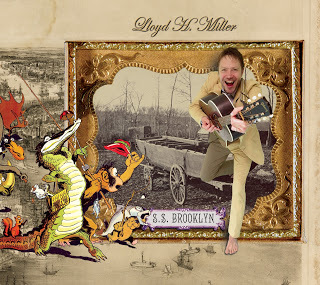 The title song, with its message about the brief-but-precious nature of childhood, features fellow musical angel Elizabeth Mitchell, “Bicycle Built for Two” has England duetting with the wondrous Molly Ledford in a 10,000 Maniacs-sounding track, and “Little Wings” beats energetically with the support of Caspar Babypants. 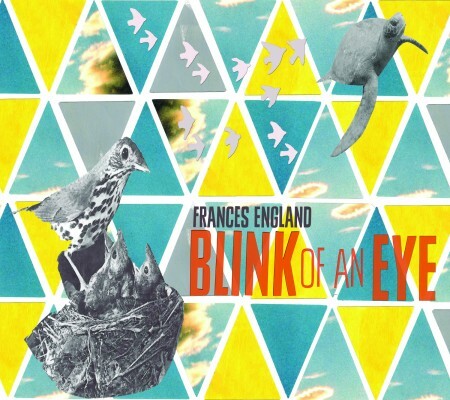 England has made a gorgeous record, filled with superb songcraft and parental wisdom. Dan Zanes & Elizabeth Mitchell, with Mitchell’s band You Are My Flower, carry us down a sparkling river of American roots music on Turn Turn Turn. As always, these two titans of kindie music make each song feel like it’s being performed in a living room or backyard. Strumming strings and singing together, Zanes and Mitchell interpret old beauties, including “Turn Turn Turn” (by Pete Seeger), “Wim Wam Waddle,” and “Sail Away Ladies.” The collaboration also brings to life such originals as Zanes’s “Now Let’s Dance” and Mitchell and sister-in-law Anna Padgett’s “Honeybee.” The only thing better than hearing this collaboration on record is seeing them live on tour. 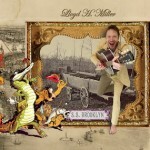 For more of the latest children’s music reviews, mosey on over here. Grand Prize: A family weekend getaway in New York City, October 4 to 6. One lucky family will win the following prize package, valued at approximately $3,500: air transportation for four from anywhere in the continental United States, two nights at the Hotel Newton on Manhattan’s Upper Westside, four tickets and backstage passes for Symphony Space’s debut event of the Just Kidding season, with The Story Pirates. 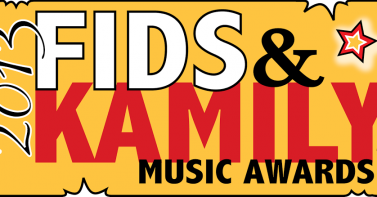 The winning family will also get to meet Absolutely Mindy from SiriusXM’s Kids Place Live. Meals at Big Daddy’s, Two Boots Pizza and the Thalia Café are also included. PLUS: The Story Pirates will perform a story written by the winning family’s children. Five Second Prize winners will each receive a library of CDs from every musical artist performing at Just Kidding this season, plus new children’s books from Symphony Space’s Thalia Kids’ Book Club and a Just Kidding t-shirt. Everybody Wins! 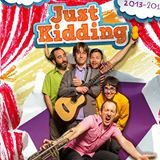 All entrants will receive a free digital download, featuring more than a dozen songs from this season’s Just Kidding performers, all top artists in the national family music scene. Entries in the No Kidding? Just Kidding sweeps must be received by August 21, 2013 at 9 pm EST. The sweepstakes will be open to anyone in the continental United States, except where prohibited. Other restrictions may apply. The Grand Prize winner must be able to travel to New York City over the weekend of October 4 to 6, 2013, and attend the 2 pm Story Pirates performance at Symphony Space on October 5, 2013. The grand prize offer is not valid for any other dates. Grand and second prize winners will be announced on August 30, 2013. Partners in the No Kidding? Just Kidding sweepstakes include Hotel Newton, Kidville, Parents Magazine, Big Daddy’s and Two Boots restaurants. About Just Kidding: Presenting everything from break dancing to ballet, along with planet-hopping puppetry, electroluminescent dinosaurs, and new tunes from the nation’s hottest kindie rock artists, Symphony Space announces a wide-ranging mix of live performance for its critically acclaimed Just Kidding series. The 2013-14 season launches on October 5th with a kid-driven sketch comedy performance by The Story Pirates, and runs most Saturdays and some Sundays through April ’14. Details are at http://www.symphonyspace.org/justkidding. For more on children’s music and other stuff Family Man Recommends, click here.